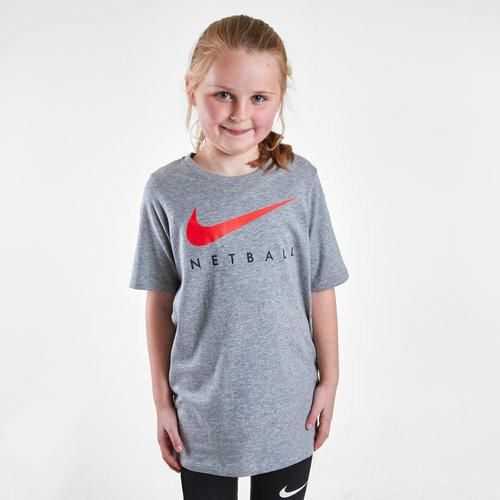 Go crazy for the Roses, look just like your heroes and stay warm in this Nike England 2019 Kids Netball Graphic T-Shirt. England's national netball team are now ranked fourth in the INF World Rankings as of December 2018. Previous success includes silver and bronze medals at the World Cup and a gold Commonwealth Games medal. 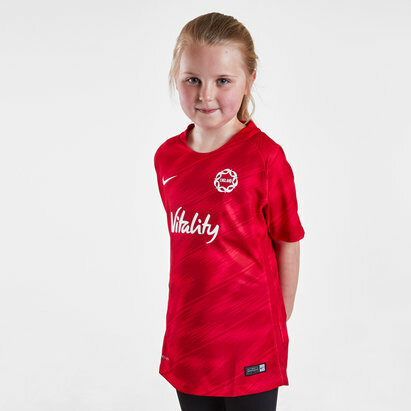 As of 2018 Nike are the team's kit and off-court range supplier, they announced a multi-year deal with the national team and the organisation's 3,000 clubs across the country. This graphic t-shirt has been crafted from soft cotton fabric for ultimate, lasting comfort to take you from the court to the streets. With the Nike swoosh across the middle, the word Netball comes underneath it.